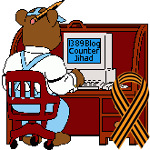 ethical oil — 1389 Blog - Counterjihad! Al Gore slanders Canada’s ethical oil; did you know heavy oil is being pumped in Los Angeles? Ethical Oil from Canada’s Oilsands – or Conflict Oil from OPEC?